More than 40 years ago, they created a truly soothing herbal tea to help folks wind down the day. 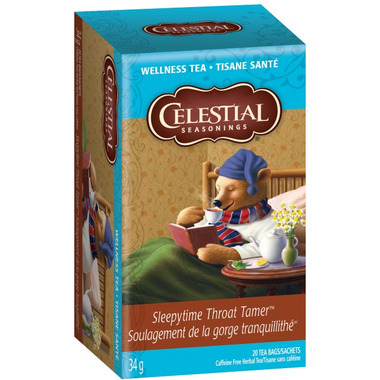 They named it Sleepytime® tea, and it quickly became everyone’s favourite bedtime tea. Today, their calming Sleepytime blend of botanicals is available in herbal and wellness teas, so you can always find the perfect cup for your bedtime routine. Every Sleepytime tea begins with their classic blend of soothing, sustainably sourced ingredients from around the globe. The three key botanicals in Sleepytime are: Chamomile, Spearmint, and Lemongrass. Ingredients: Chamomile, licorice, ginger, tilia flowers, slippery elm bark, spearmint, lemongrass and natural lemon flavor with other natural flavors.